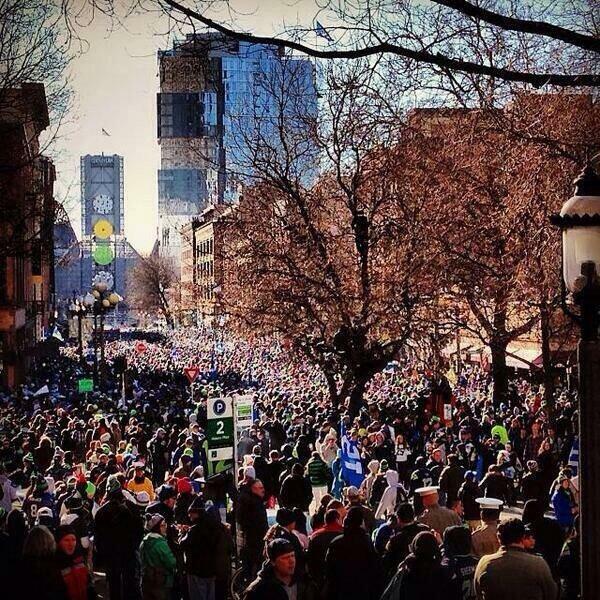 Wednesday marked the city-wide party in celebration of the Seahawk’s Super Bowl victory. It was one of the coldest days of the year, around 28 degrees when the parade began at 11am. 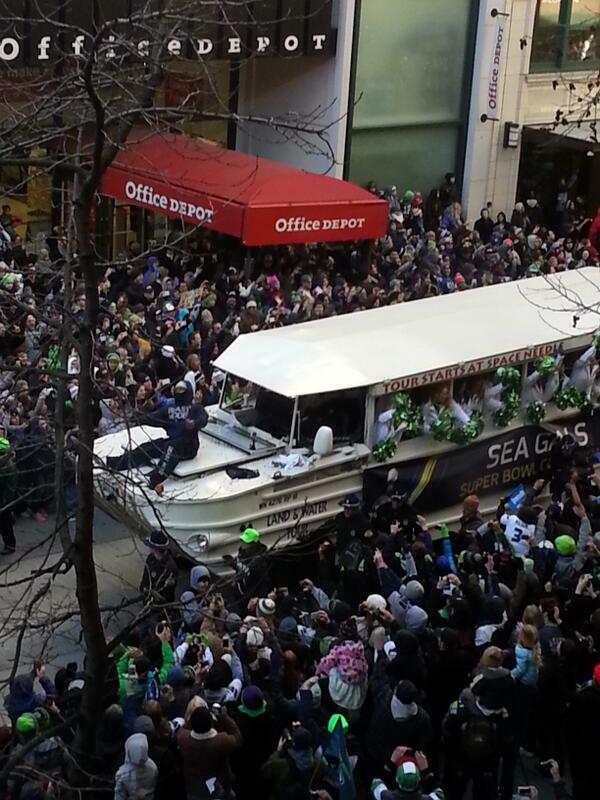 Over 700,000 people attended, crowding the sidewalks along 4th Avenue, as the team, coaches, and Seagals made there way to Centurylink riding in noneotherthan Duck Boats. It was definitely a sight to be seen. The Beast throwing skittles and riding on his very own duck. 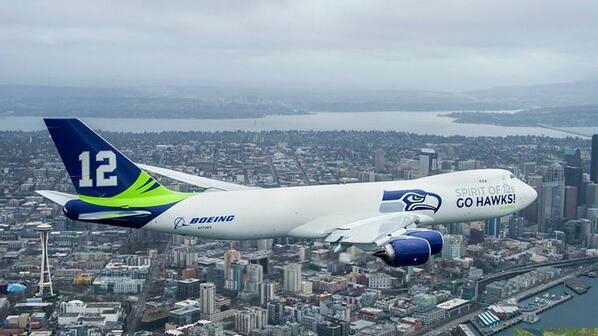 All season ticket holders got admission into Centurylink for the official celebration, started with a flight of Boeing’s celebratory 747 flying high, finished off with a performance by Macklemore, once again. Schools were not given the day off but were given an excused absence if their parents called them in as going to the parade. The scene of clustered buses and traffic was obscene. According to commuters, park n’ rides were filled to capacity as early as 9 am. And at 12:12 pm Governor Jay Inslee declared a “Moment of Loudness” that was rather deafening. Great to be in Seattle today!